Keep Up!! Join the Real Racin USA Mailing List Today! Click on the Channel button to listen to latest show or download from list below. Inside Florida Racing returned to the Internet airwaves Wednesday night with hosts Jack Smith, Rick Anges and Scott McAllister. Guests included 2009 Promoter of the Year Don Rehm, Orlando Speedworld promoter Rick Bristol and Mini Stock racer and longtime observer of Florida racing Rex Hollinger. Inside Florida Racing will return to a regular schedule in June. Dirt World hosted by Joe Linebarier and Billy Ausburn will return to a weekly format also beginning in June. 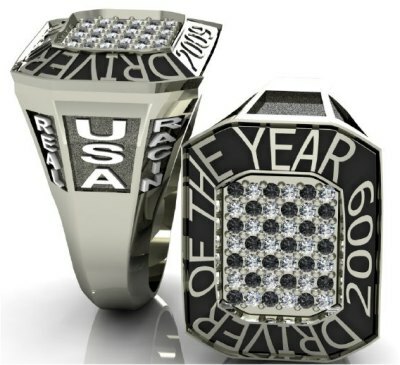 An announcement will be made shortly about the date and time of the presentation of the Driver of the Year Hilderbrand Jewelers ring. On January 3,2009, Richie won both the Street Stock Feature  50 Laps with 23 Cars and the Open Wheel Modified Feature  75 Laps with 18 cars earning him the award. On an emotional Saturday night at East Bay Raceway honoring the late J.R. Prather, Sr in February, Jeff won both the Open Wheel Modified and Late Model feature. Derrick has been racing and winning in several classes at Charlotte County and uses his success to bring awareness of breast cancer. A cancer survivor himself, this young man has raised a considerable amount of money for the cause through his racing success. Grady Christian will tell you the secrets to winning races, and he has dominated the street stocks at Volusia Speedway Park this year, is intense preparation and family. The whole family works together to make sure his cars are ready to win. 941-737-5857 for High Quality DVDs. LIVE 7-9 PM MONDAY EVENING FROM OUR BRAND NEW REAL RACIN' USA STUDIO IN SOUTH FLORIDA. Have news for Inside Florida Racing? Have a guest suggestion? 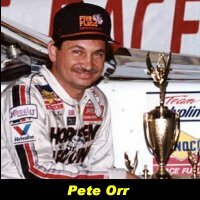 PETE ORR TRIBUTE SHOW: Featuring guests Scott Reeves, David Green, Mike Cope, Darrell Waltrip, Travis Kittleson, Justin Drawdy, B.J. McLeod, State Senator Bill Posey, David Russell, Leroy Porter, Lee Faulk and others. Bobby Orr and Scott McAllister are guest co-hosts. CLICK TO LISTEN OR DOWNLOAD NOW! Johnny Collins of Jacksonville Florida was named the Pandora Jewelers Inside Florida Racing Driver of the Year and took home the $3,800 ring as the prize. Collins was one of the very best dirt late model drivers in the country in 2008, winning the United Dirt Late Model Challenge Series Championship and came in second in the National Late Model Series and won many features throughout the year. PANDORA JEWELERS DRIVER OF THE MONTH 2008 ! January - Jeff Choquette July - Donnie Ollie Jr.
Much of the music used on Real Racin' USA is courtesy of DanToler. 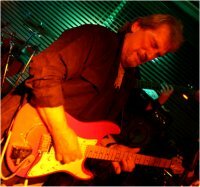 Guitar player for Allman Brothers & Greg Allman Band and his own Toler Brothers, Dicky Betts & Great Southern, owner of four Gold Records and a big Florida motorsports fan. Spend 30 minutes with a Guitar Legend. If you are still using Internet Explorer, may we suggest Firefox for better security and faster browsing. CLICK HERE IT IS FREE! And for a much faster browser we recommend Google's new browser CHROME. Download for FREE!